If you watch talk shows about health or read health news stories, you have probably heard of something called a FODMAP. I know it sounds like a diagram or map that relates to fods, whatever they may be! However, it is actually an acronym to describe certain foods that may be poorly absorbed in your small intestine. These foods are found in most food groups, including Proteins, Grains, Fruits and Vegetables, Dairy as well as in some sweeteners and seasonings. When they move undigested into the large intestine, bacteria will cause fermentation which leads to digestive disturbance. If you are sensitive to these foods, you may experience abdominal pain, gas, diarrhea, constipation, nausea and bloating. These carbohydrates have been singled out as a group because they have some things in common. 1. They may be poorly absorbed in the small intestine, the part of your bowel where 90% of digestion and absorption take place. 2. They may cause extra fluid to be drawn into the small intestine. 3. They may ferment in the colon causing a rapid build-up of gas which may lead to bloating, pain, and other bowel discomfort along with constipation or diarrhea. Interesting Fact: Your small intestine is about 23 feet (7 meters) long! That is a lot of real estate for absorption of nutrients. It is also a long way for food to travel to get to the next phase of digestion and elimination. Eating enough fiber helps keep things moving along this digestive highway! 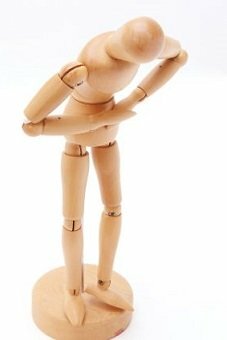 IBS has become a very common disorder and the symptoms are very similar to those described above. However, IBS is more complicated in that the FODMAPS may be one of the triggers, but there could also be others such as foods that are not FODMAPS, stress, other disease or even hormones. In other words, FODMAPS may be a factor in IBS, but the problem may also have other components, including foods that are not FODMAPS. For more information on IBS, click on this link. Caveat: Do not try to diagnose yourself, particularly if your digestive issues are severe, chronic, last overnight or if you have blood in your stool. Consult with a physician, who is an expert in helping you determine the cause of your problems! Sweeteners: Honey, High Fructose Corn Syrup, Agave syrup, Xylitol, Mannitol, Sorbitol, Malitol and Isomalt. This diet consists of two phases. In the first phase, you will strictly eliminate high FODMAP foods for 2-6 weeks, depending on which version of the diet you are on. A dietitian or nutritionist would be useful in this phase to help you determine how to eat healthy without consuming FODMAPS. Digestive problems are becoming more prevalent in our culture here in the U.S., most likely due to the change in our food supply and eating habits. Portion sizes have increased at the same time as a tendency towards a more sedentary life style. Both of these things can contribute to digestive upset. When you overload your system, especially if you are over 40 years of age, and even more so, if you are over 50, the extra food may not be digested properly and will end up fermenting in your colon. If that happens, you may experience the symptoms discussed on this page. In addition, when your body moves, such as in taking a walk, it will help your digestive tract to move also and be more efficient. You may have noticed that if you eat a large meal and then sit the rest of the evening (especially if you are over 40) you may experience uncomfortable digestive symptoms in your GI tract. Of course, this is not to say that you should not be concerned about food sensitivities! You really should get digestive issues checked out, but you may also want to consider eating less and moving more! Keep in mind that it is possible that some FODMAPS will affect you, while others may have minimal or no effect at all on how you feel, so you will be able to enjoy their nutritional benefits without suffering from digestive upset. Also, the Low FODMAP diet is not a No FODMAP diet! It is a way for you to determine what foods are best for you. Click on this link to go from FODMAPS What are they? page to Indigestion page.